Before, during or after the game or while you’re spending the evening on the gaming floor. 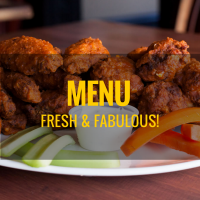 Come in and peruse our fabulous menu with something for everyone. Using the freshest ingredients and showcasing regional cuisine it’s sure to please. Bring your friends, watch your favourite sports on the TV and big screens and make this your new neighbourhood hangout. Don Cherry’s Sports Grill at Chances in Prince Rupert. Don Cherry’s Sports Grill opens at 11:30am daily and you can enjoy great food until the kitchen closes at 11pm from Tuesday to Thursday, Friday and Saturday at 12 midnight and 10:00pm on Sunday and Monday.